The first step, is to go to Flickr and from the You menu, select Camera Roll. Then click on ‘Select all’ and then select Download. 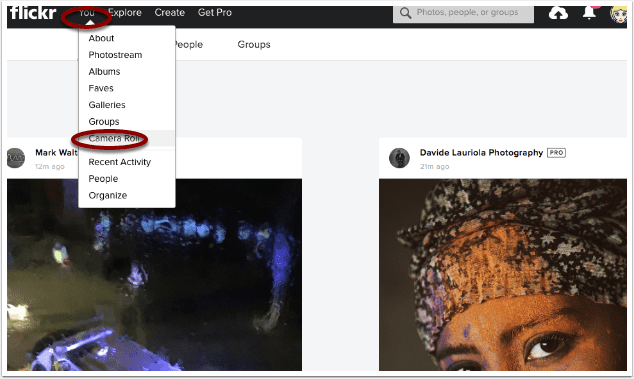 If you select more than one image, you’ll receive a message stating that a ZIP file will be created and FlickrMail will send an email when it’s ready. 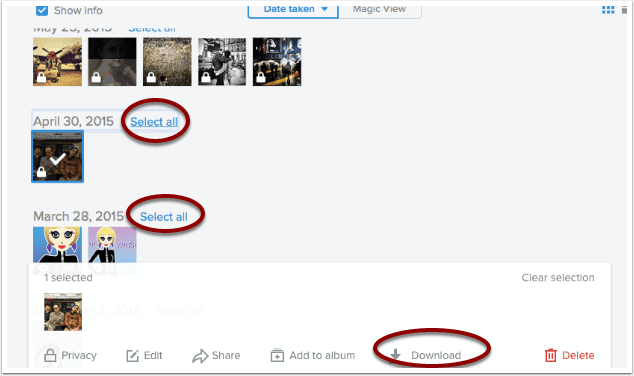 If you’re selecting individual images, you can download these immediately. There’s also a convenient way to download all of your data, including profile information, account preferences, photos and videos. Here’s how you do that. Scroll down to the bottom right and you will see Your Flickr Data. Select, Request my Flickr data. 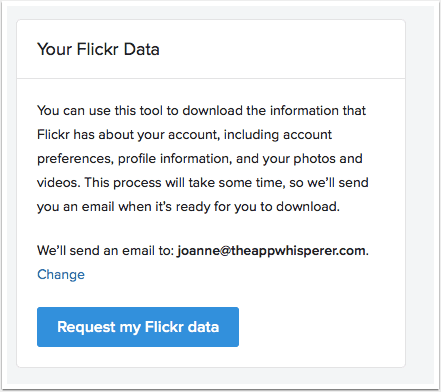 Once you have selected that, it will be replaced with Flickr Data requested. You will receive an email when the data is ready.